Admit it - we all like a good zombie story. Well I have one for you. 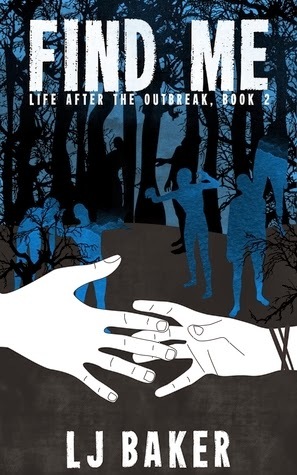 This one is from the wonderfully talented LJ Baker in her series, Life After the Outbreak. Now, I want you all to know there is a book 1, but you don't have to read it. I think you should because it rocks that much, but the second one you can slide right into, no problem. Against the odds, Andi is not only surviving in a world where flesh-eating undead hunt the living, but has managed thrive. When she first went through the gates of the military base with Will, she thought it was their chance for a normal life. Well-- as normal as they could have during a zombie apocalypse. But life on the military base was nothing like she expected. Training takes every ounce of energy she has. With few friends and Will gone more than he's home, she's left to wonder: was staying the right decision? When Will doesn't return from a mission, Andi knows her only choice is to go look for him. Her chances of finding Will with a pulse are slim, but worse, she knows what she'll have to do if she finds him without one. But Andi has to try. She clings to the tiniest shred of hope, even though death and heartache await her on the journey. How many gifts did the True Love give? Answer below, and I'll pick a random winner from the correct answers! Winner picked on 1/3/14 at 5 p.m EST!